Prentiss County offers many recreational opportunities for visitors and residents alike, with a wealth of sports and outdoor activities that appeal to people of all ages and interests. Because of the terrain and climate, the area abounds with unspoiled natural lands and unparalleled hunting and fishing opportunities. Or, if you choose, you can elect to spend time with your family at one of our city and community parks with features like ball fields, tennis courts, playgrounds, picnic areas, and walking trails. Golfers will also find numerous opportunities to perfect their skills on the many courses available in and around Prentiss County. Located in the southeastern part of Prentiss County is the John Bell Williams Game Management Area. This public use area of approximately 11,000 acres is operated by the Mississippi Department of Wildlife, Fisheries and Parks in cooperation with the U.S. Army Corps of Engineers and the Tombigbee River Valley Water Management District. Used primarily for hunting, the area also offers the opportunity to see a diversity of habitat that affords homes to a wide variety of wildlife. Among the many species inhabiting the area are deer, turkey, squirrel, raccoon, opossum, beaver, rabbit, quail, and a variety of waterfowl. Containing 6,700 acres and with 133 miles of shoreline, Bay Springs is the only deep water lake on the Tennessee-Tombigbee Waterway. The lake is connected to the Yellow Creek embayment of the Tennessee River by a 25-mile-long canal. Bay Springs provides a variety of recreational opportunities, including outstanding fishing, boating, swimming, and water skiing. In addition, numerous other facilities such as campgrounds, beaches, picnic areas, overlooks, and a marina have been constructed for public use. Also, located on a 530-acre peninsula of the lake, is the Crow’s Neck Environmental Education Center. Operated by Northeast Mississippi Community College, the center offers an array of programming sure to interest the teacher, naturalist, and curious learner. A one-of-a-kind playground in Booneville, Kidstown is a place for kids of all ages to have fun and play the day away. Kidstown was built during the first week of May, 1997, when over 300 volunteers came together to show their community spirit and give back to the community by building this supersized, handicapped-accessible playground at Booneville City Park. Every day you will see kids ready and willing to explore every inch of this 30,000-square-foot structure, which looks like a big fort and has swings, monkey bars, sand boxes, and many other places to play. This 9-hole golf course, established in 1958, is located in Booneville at 67 County Road 5001. The course is over 3,131 yards with a par of 36. The Club includes a pool, lounge area, and clubhouse. The Slugburger is an unique burger created during the Great Depression in northeast Mississippi. These delicacies are comprised of soy, flour, pork and beef, deep fried and served on bread. The Slugburger Trail travels from Weeks Diner in Booneville, to New Albany and Corinth. Held in late summer or early fall each year at the Prentiss County Agri-Center, the Prentiss County Fair offers a wide variety of fun and entertainment for all ages. Annual events are the Eddie Burns Memorial Go-Kart Race, youth rodeo, Dixie Iron Tractor Pull, adult rodeo, youth talent show, Fairest of the Fair Contest, carnival rides, free petting zoo, and a large number of both local and regional exhibits. Held in October each year, the Booneville Fall Festival highlights the downtown area. Among the events are the artisan showcase, student art show, battle of the bands, 5K walk/run, turnip green cook-off, carnival rides, gospel singing convention, motorcycle rally, soapbox derby, children’s activities, all-day entertainment, and numerous arts, crafts, and food vendors. Held in October in Baldwyn, the Okeelala Festival features a street dance, bands, a car show, and a pageant. Visit the City of Baldwyn’s website for more information. 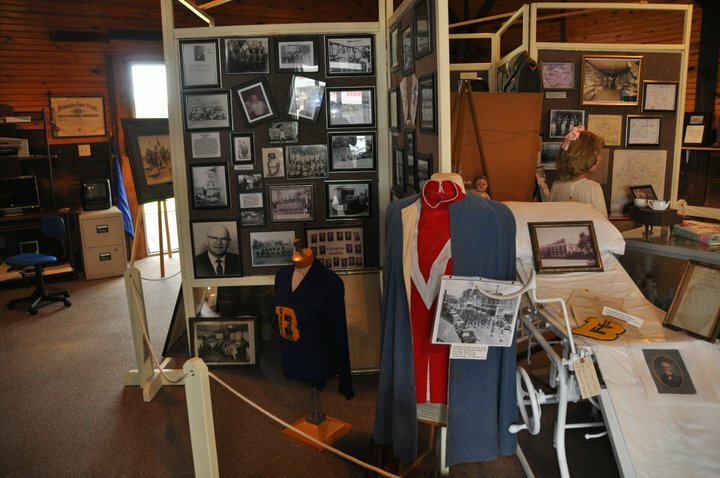 Located in Booneville at the train depot in downtown, this museum highlights the history of Booneville. It features Native American artifacts, Civil War history and artifacts, and rail road artifacts. 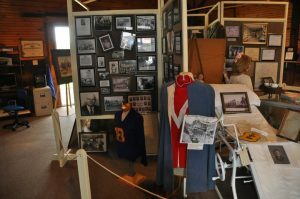 The museum is operated by the Prentiss County Historical Preservation Society. Battle of Brice’s Crossroads visitors’ center is located in Baldwyn, Mississippi. This 1,400-acre Civil War battlefield site features an exhibit, special group tours, a bookstore, and information about the battle, the opposing armies, and the leaders involved in this battle. The Pharr Mound site consists of eight burial mounds built during the Middle Woodland period between 1 and 200 A.D. The site is located in Prentiss County on the Natchez Trace Parkway at milepost 286.7 and is maintained by the National Park Service. Ranging in height from 2 to 18 feet, the mounds are distributed over an area of approximately 85 acres. Four of the mounds were excavated in 1966 by the National Park Service and numerous artifacts were found, including cremated and unburned human remains, ceremonial artifacts, and decorated ceramic vessels. Live theater performances at the Baldwyn Main Street Players, a non-profit community theater group in downtown Baldwyn, features plays, live music, arts education, and more for the community and surrounding areas.